Georgia Tech, Mayor Kasim Reed and 10 Atlanta-based companies announced the launch of a nationwide startup accelerator program, known as Engage. Applications for the program are scheduled to open in early 2017, with initial enrollees beginning the program as early as this spring. Engage hopes to involve up to 48 startups in the program over the first three years. The program will last 12 weeks, with the Advanced Technology Development Center (ATDC) providing education, workshops and working space to participants. For the duration of the program, startups’ founders must be present in Atlanta, although the program will be open to applicants from across the country. The ATDC is a technology incubator which was founded, by the Georgia legislature in 1981, in order to encourage the formation and development of new technology companies. Mayor Reed issued a statement on the launch of the program, praising Atlanta as a technology hub and outlining some of his goals for the program. “Atlanta is the Southeast’s technology, innovation and entrepreneurship capital, with the third largest concentration of Fortune 500 companies in the country,” Mayor Reed said. “We must take advantage of these unique assets to further stimulate our growing ecosystem of startups and growth-stage companies, connecting them to capital, talent and mentorship. Mayor Reed approached the Atlanta Committee for Progress (ACP) for support regarding the program, following his 2013 trip to Silicon Valley. Engage program members will be able to communicate with companies that are members of the ACP in addition to receiving support and mentorship from the program’s 10 founding members. The accelerator program will also feature a venture capital fund designed to provide investments to startups enrolled in the Engage program. Each founding member has committed $1.5 million to the fund, which will be managed by Tech Square Ventures. The Engage program will be administered in Tech Square through the ATDC at Tech. 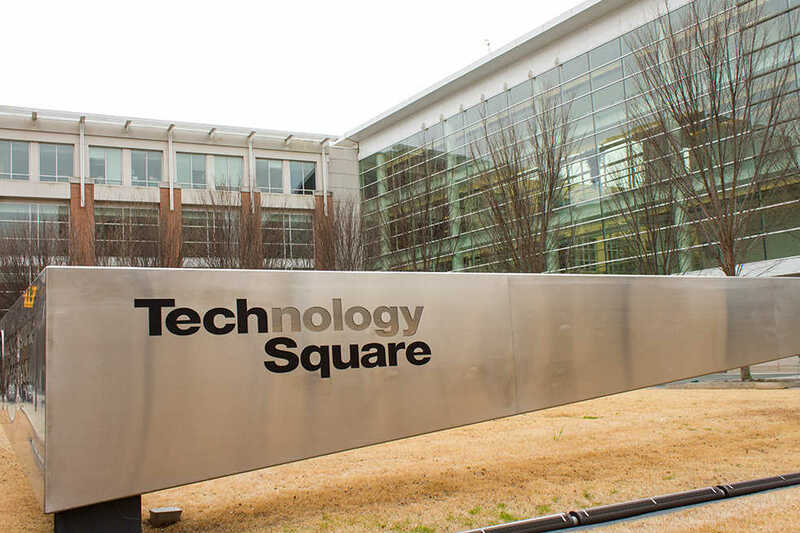 Tech Square is currently home to the Scheller College of Business as well as over a dozen corporate innovation centers, including companies, such as Delta, Coca-Cola, The Home Depot and AT&T. Tech President G.P. “Bud” Peterson outlined some of the potential benefits of the program in a statement, released Jan. 12, saying, “Georgia Tech is committed to continue working with both large corporations and startups to grow the entrepreneurial ecosystem in Atlanta and throughout the Southeast. The program is also projected to benefit members of the Tech community. “Engage is a unique platform to enhance Georgia Tech’s strategy to provide opportunities for large corporations to access talent and innovation in the startup ecosystem while benefitting ATDC’s mission to help entrepreneurs launch and build technology companies in Georgia,” according to Jen Bonnett, general manager of the ATDC. “Georgia Tech is a leader in corporate innovation. The Institute is home to more than a dozen corporate innovation centers. The 10 founding companies of Engage are AT&T, Chick-fil-A, Cox Enterprises, Delta Air Lines, Georgia-Pacific, Georgia Power Foundation, Inc., Intercontinental Exchange, Invesco Ltd., The Home Depot and UPS. Each of these companies has committed to providing venture capital funds and mentoring to startups that receive that funding.